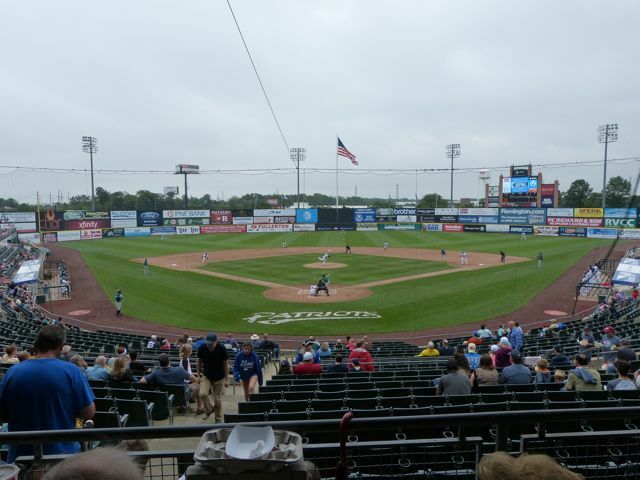 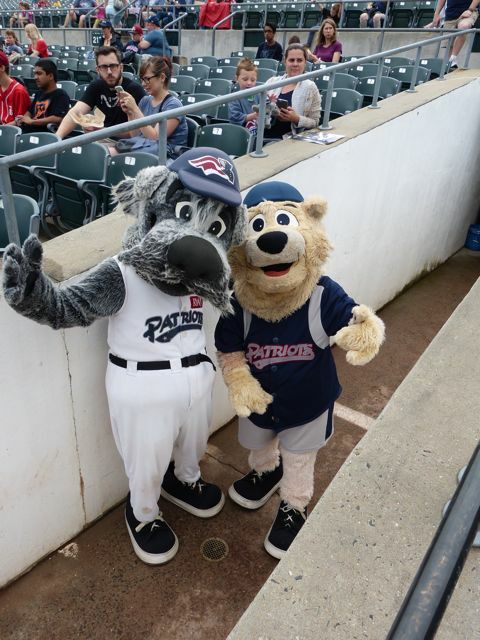 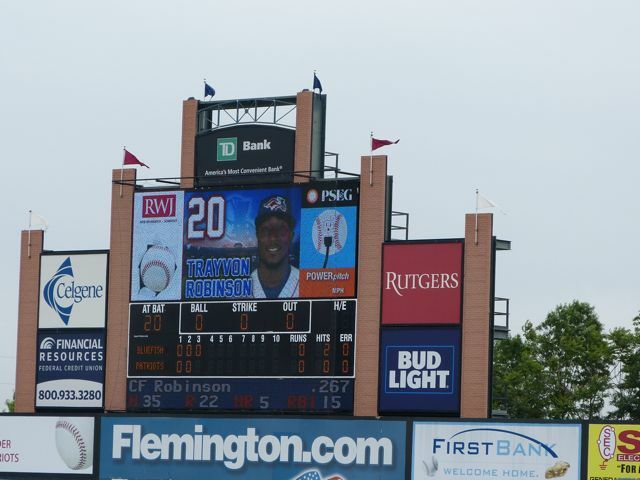 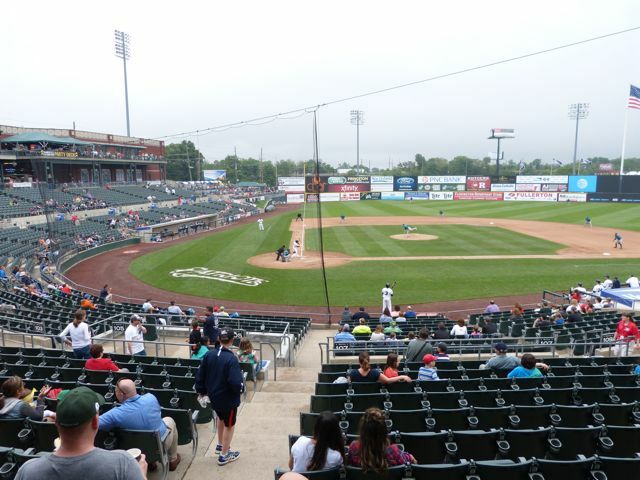 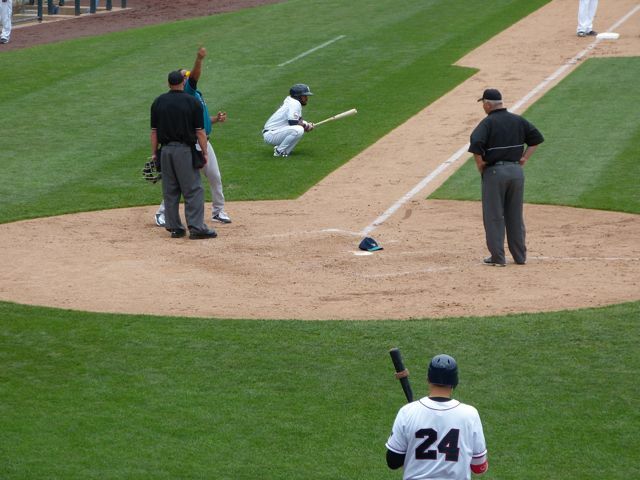 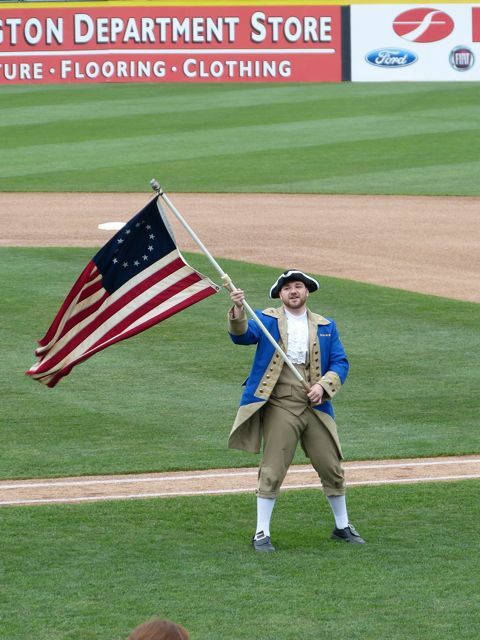 The Somerset Patriots, an Atlantic League Independent team, play at TD Bank Ballpark in Bridgewater Township, NJ. 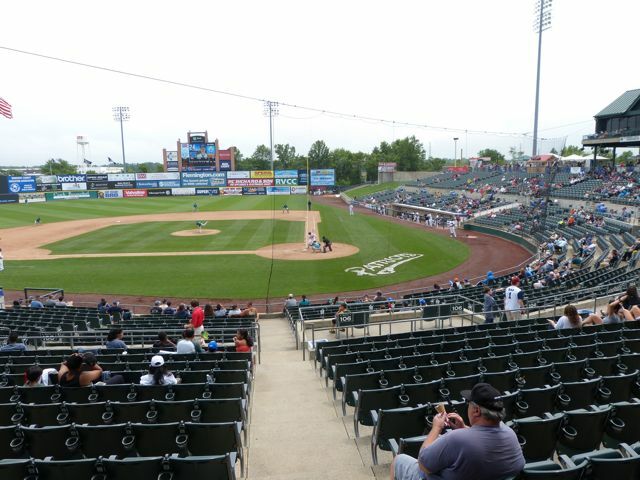 The stadium was built in 1999 and seats 6,100. 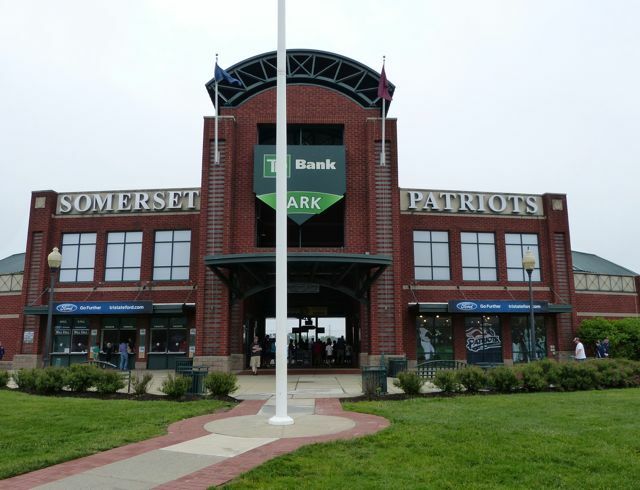 The Patriots were playing the Bridgeport Blue Fish losing 4-1. 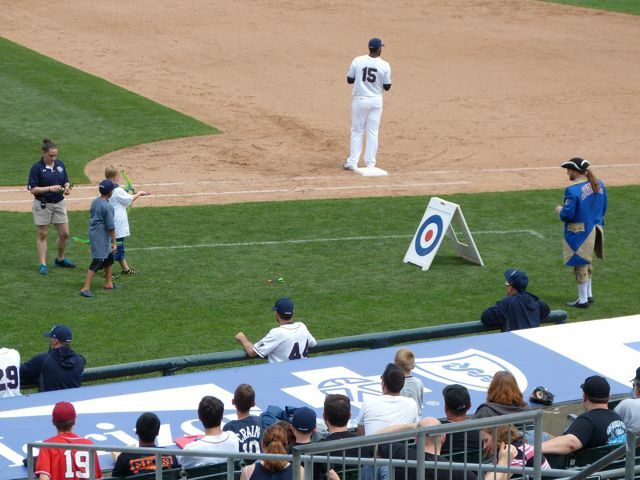 The box score was Blue Fish R-4, H-10, E-0 and Patriots R-1, H-10, E-1. 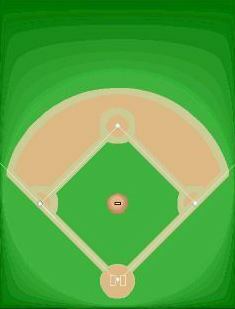 The field lines are RF-315', CF-402', LF-317'. 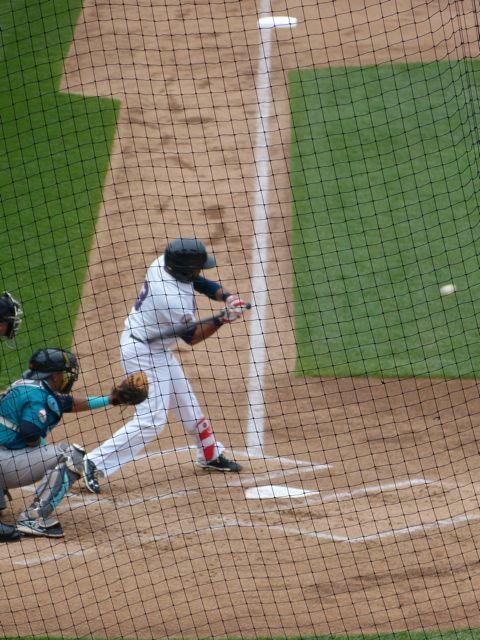 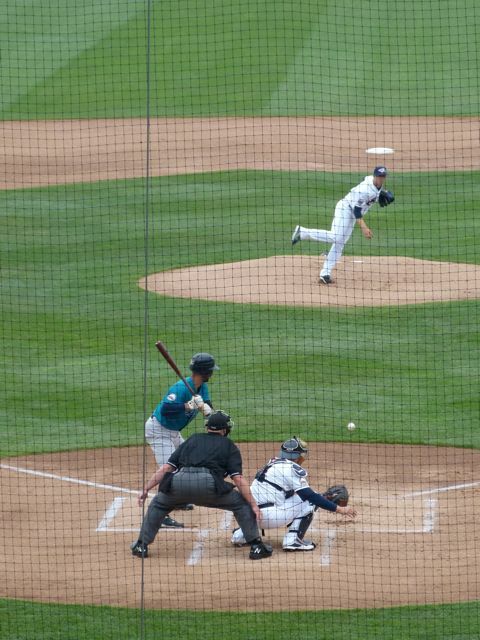 Trayvon Robinson-Patriots and Endy Chavez-Blue Fish, both ex-Mariners singled in last at bats. 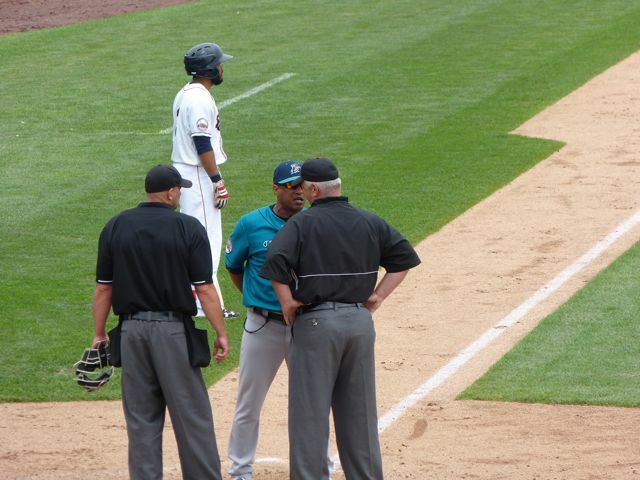 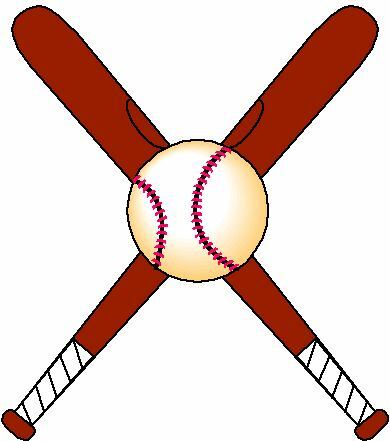 The Blue Fish manager was thrown, after a lengthy discussion he kicked dirt on home plate, threw his cap down, when the cap was returned, he returned and threw it down again. 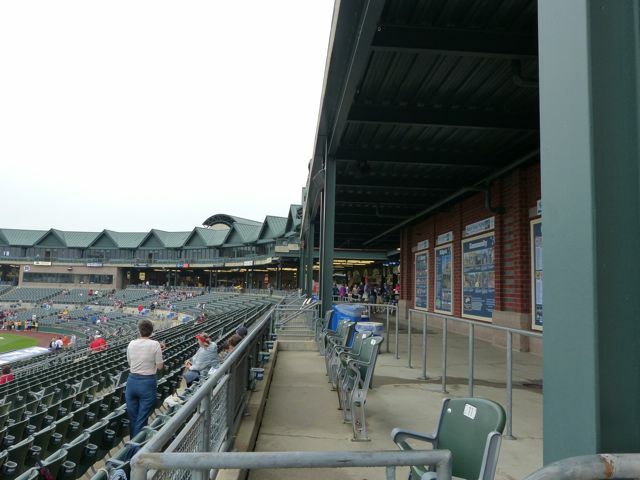 All of the suites are on the 2nd level. 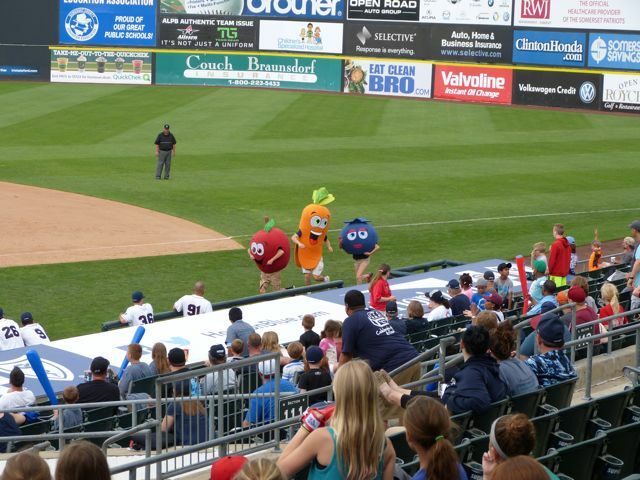 The mascots are General Admission, and dogs Sparkee and Slider. 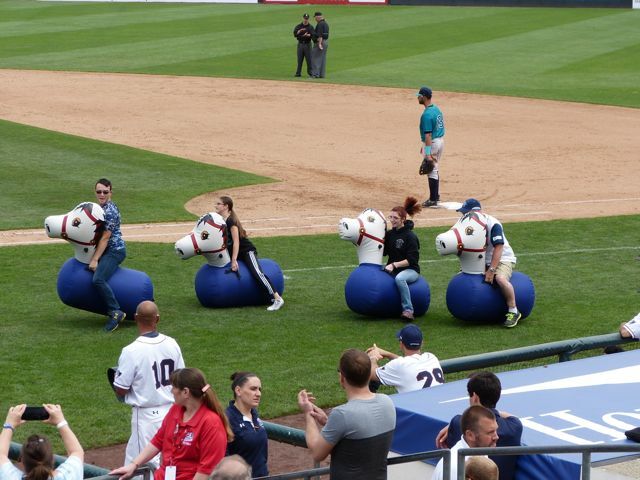 Mid-inning activities consist of Mascot race, Oversize clothes race, Kid calls the winner of fruit race, who then wins and Horse race-with adults. 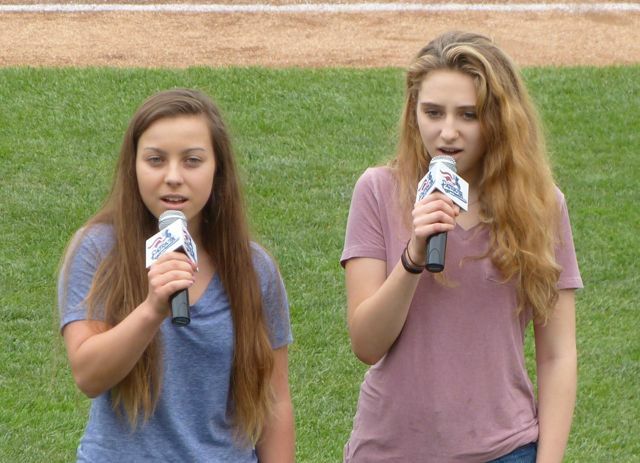 Watchung Hills HS girls sang America the Beautiful before the National Anthem. 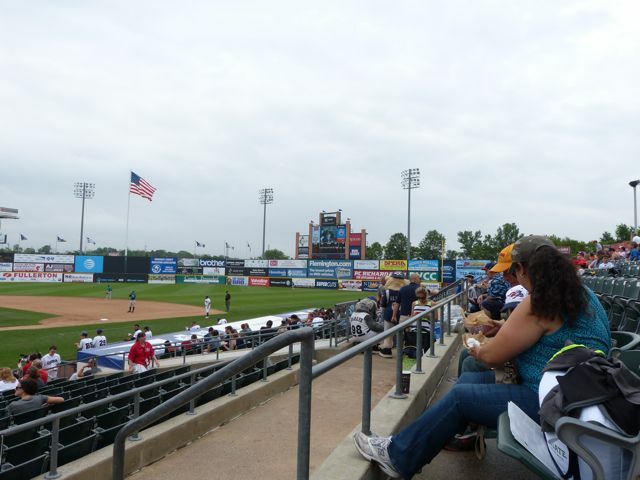 Veterans were invited to keep their hats on and salute during the National Anthem. 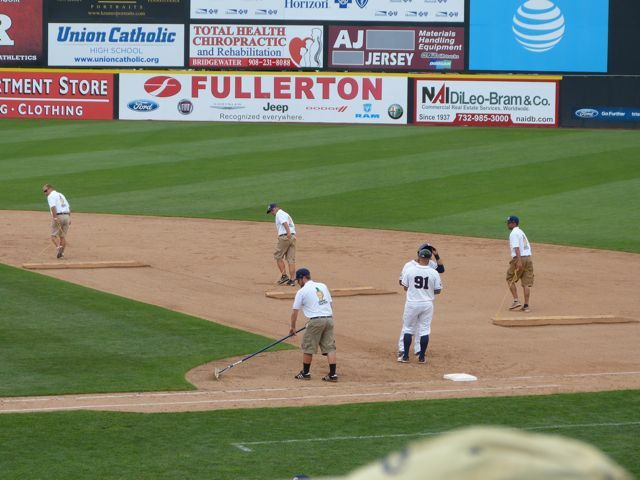 The grounds crew use large door mats attached together to drag the field. 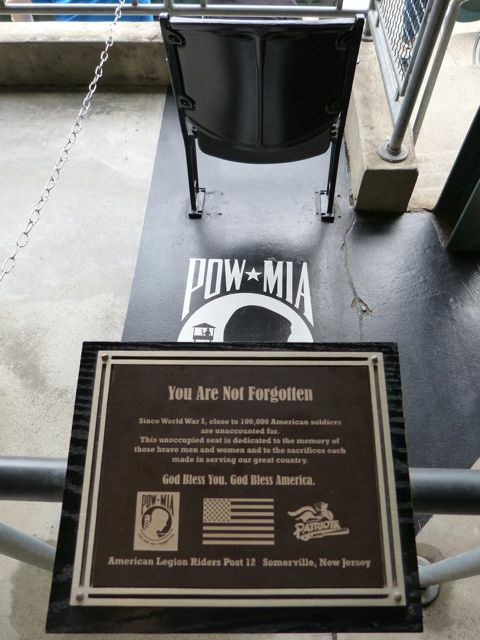 There is a seat set aside for POWs. 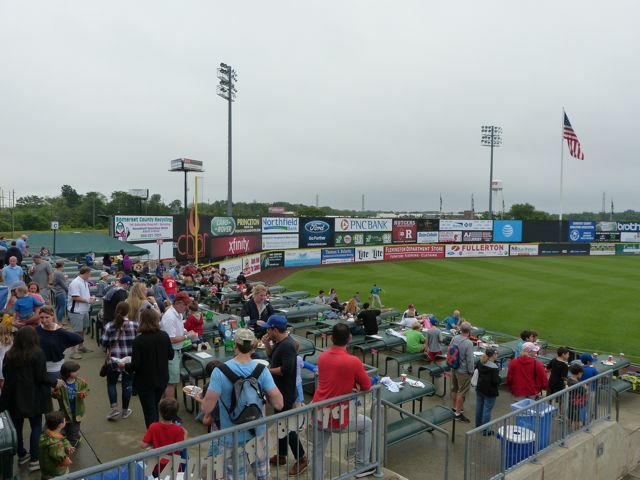 There were numerous birthday parties on the party deck down the 3rd base line. 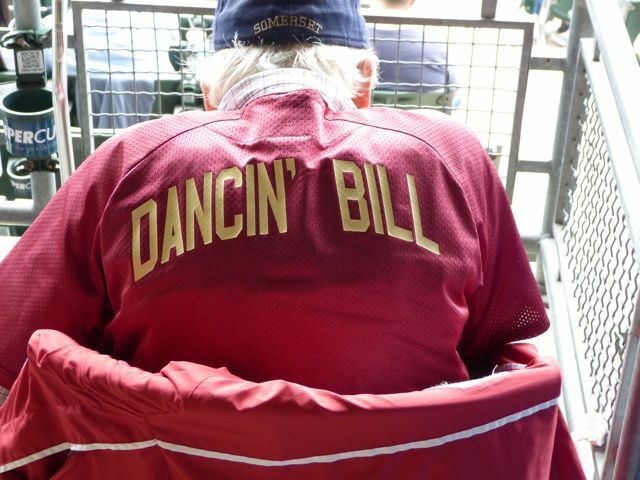 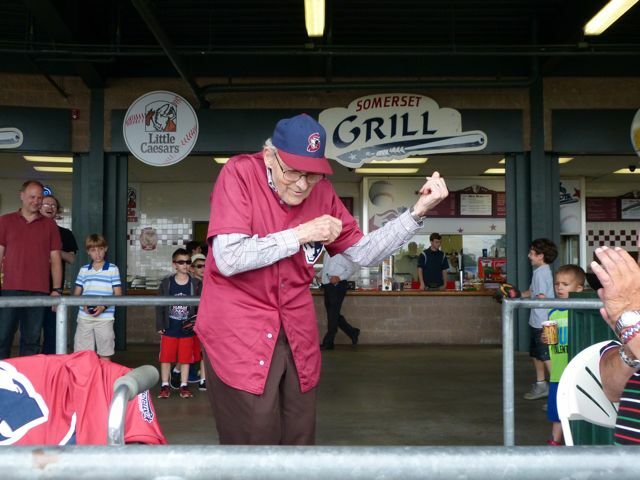 Dancing Bill, 85 years old has been dancing Cotton Eyed Joe or YMCA since the team started in 1997. 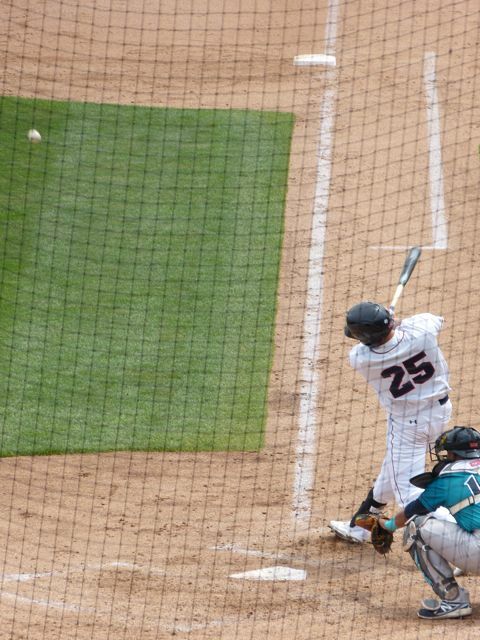 He doesn't come as often now. 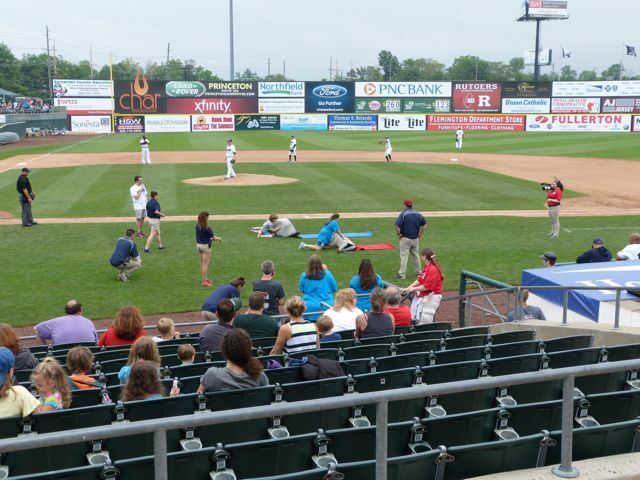 At the end of the game everyone, including adults could run the bases. 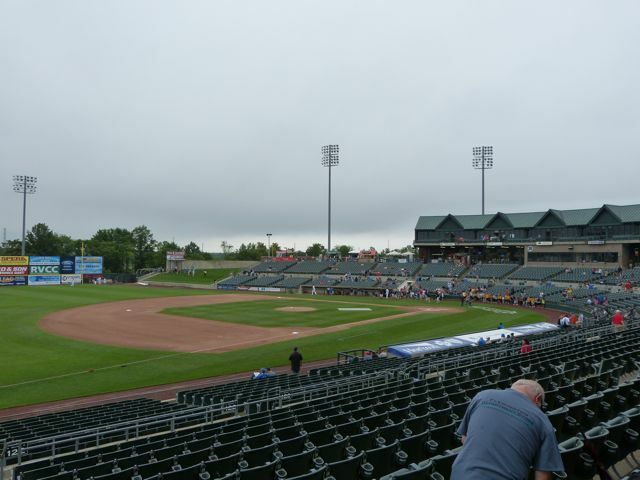 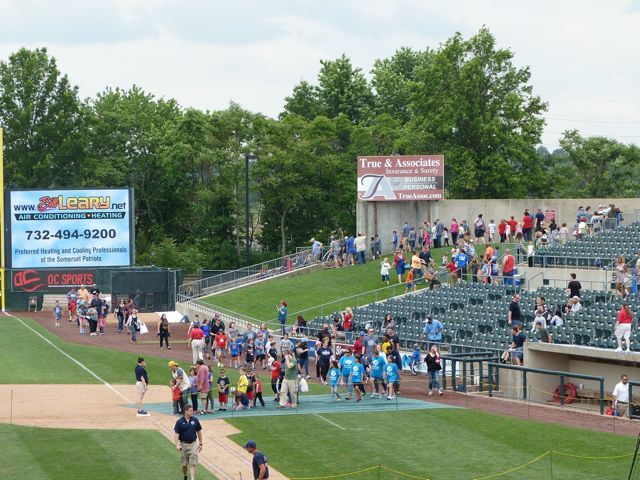 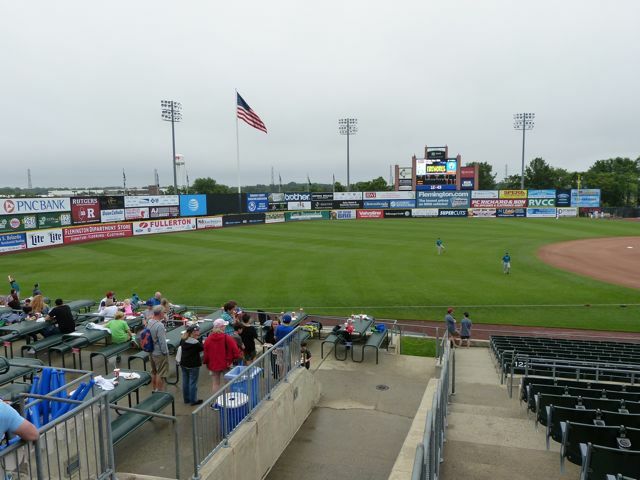 In 2015 TD Bank Ballpark was named the Best Independent Ballpark. 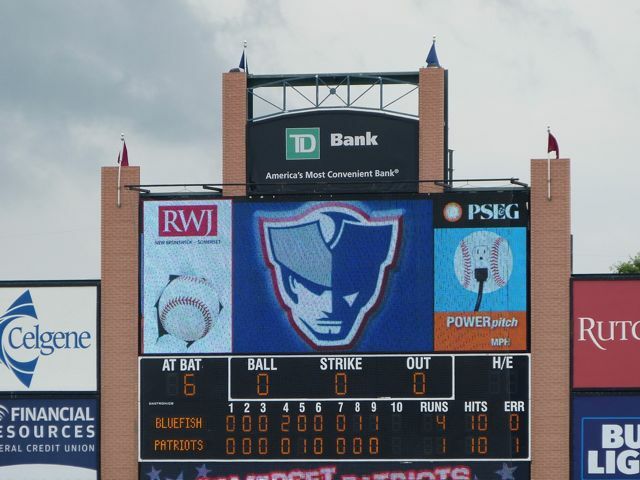 The Patriots were the 2015 Atlantic League Champions.